As you drive down the Bothmas Kloof Pass, you may be forgiven for thinking the peaceful, scenic and sleepy demeanour of the Riebeek Valley is only that. Do not be fooled, the valley is a hive of activity and sensory experience just waiting to unfold. 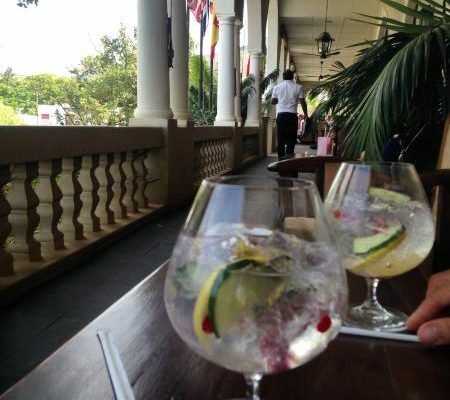 All trips to the valley must start with a reflective G&T on the Royal Hotel’s iconic Stoep where you can enjoy the splendour of one of the oldest hotels in South Africa in between sips and ponderings of what to do next. It is at this point you will need to decide whether to explore the valley or to have another G&T, either way, you will not be disappointed. For olive enthusiasts, the Golden Olive Triangle, which consists of Kloovenburg Wine and Olive Farm, Het Vlock Casteel and Olive Boutique, is your go-to place. Each of these establishments has an assortment of award-winning olive oils, olives and olive products. If you find the selection of olive offerings overwhelming, sit under the Oaks at Kloovenburg and taste some of their delicious wines and their wine and olive pairing is a must. Short Street (rather aptly named I might add) is your next stop. It epitomises the spirit and soul of Riebeek Valley culture and this is where the locals meet over Craft beer, Boutique wine, Boho Chic and general village chit chat. Tip: Walk quickly and with a purpose in Short Street as this is the desired wedding photo location and you may be accused of photobombing! If you’re keen on a little adventure, there are many cycling trails in and around the valley. Be sure to ask the locals for the best routes as some could be considered a little extreme for most – you are in the Swartland after all! As with most Western Capers, if you have a mountain, you’re proud of it. The Riebeek Valley is no exception and our Kasteelberg Mountain is our pride and joy. Take a slow stroll up the Kasteelberg from Pulpit Rock Winery and appreciate our scenic valley from this vantage point. It is quite acceptable and even expected to reward yourself after the walk with some of Pulpit Rock’s finest wines and cheese platters. Write movie reviews help. essay writing help. , .